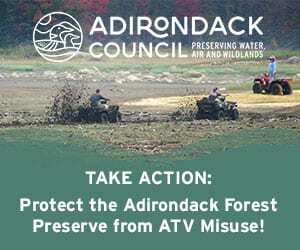 No place in the state or nation is more vulnerable to aquatic invasive species (AIS) than the pristine waters of the Adirondacks. New York already has the highest number of non-native forest pests in the country and is adjacent to the continent’s main gateway for the introduction and spread of aquatic invasives — the Great Lakes and St. Lawrence Seaway. 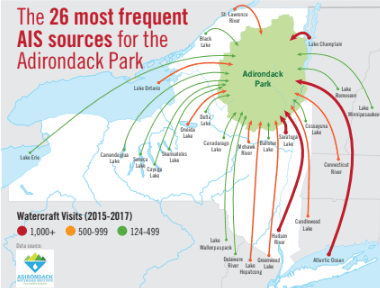 As the map shows, the Adirondack Park is literally surrounded by waterways that harbor dozens of destructive species threatening the Park. Our region has been largely spared to date thanks to elevation and water chemistry. Waters flow off the Adirondack dome and out of the region. 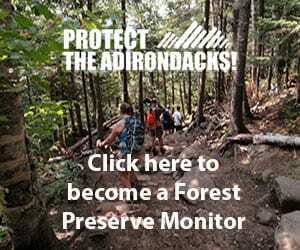 From this high ground, the Adirondack Park exists as an island in a sea of invasive species. But that sea is rising, fast. More and more watercraft coming from AIS sources — within and outside New York — are bringing in unwanted species, breaching the region’s natural defenses. Important steps are being taken to head off invasives, but not at the pace and scale required. We need look no farther than the Great Lakes to appreciate the magnitude of the threat. In a shocking account of how invasive species have devastated the largest freshwater ecosystem on earth, The Death and Life of the Great Lakes by Dan Egan shows us the catastrophic impacts of AIS — and what the future of the Adirondacks could be unless we do everything possible to stop them. In the summer of 2016, quagga mussels were found by watercraft inspectors on a trailered boat coming from Lake Erie and preparing to launch in Lake Placid. 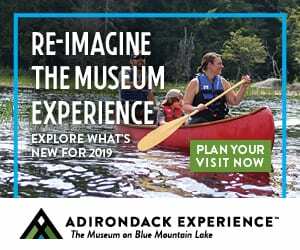 This “catch” was hailed as a victory, a tribute to the Adirondack Watershed Institute’s boat-inspection program sponsored by New York State (adkcleanboats.com). 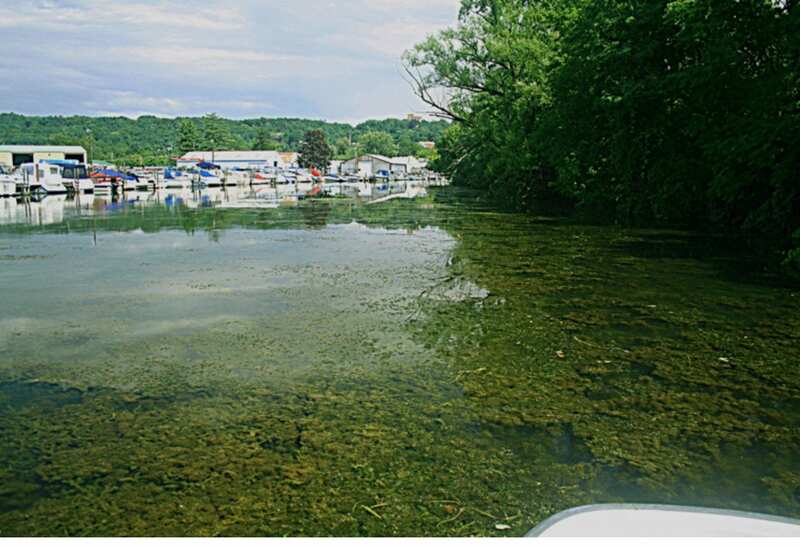 Hydrilla, a fast-growing invasive plant that chokes out native life, was caught last summer on a watercraft before launching into Upper Saranac Lake. 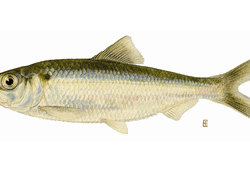 Both of these species have invaded other New York waters, including the Finger Lakes. 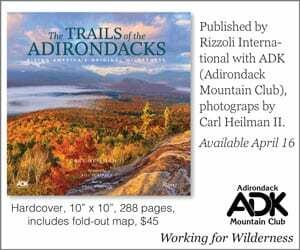 Other AIS already in the Adirondacks include the spiny waterflea, originating from ballast waters discharged by ships in the Great Lakes, where it has contributed to the demise of native fisheries. These are but a foreshadowing of the escalating threat. 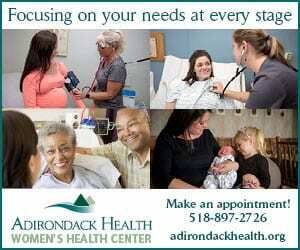 Even as the state’s largest coordinated program, the Adirondack AIS program is voluntary with limited regional coverage and hours of operation. 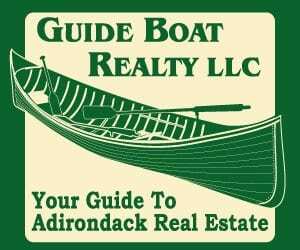 Only Lake George has a mandatory boat-inspection program for all trailered boats, considered the strongest program of its kind in the eastern United States. The invasives threat is 24/7, and only through such rigorous measures can we stop them from ravaging the region and a recreation economy that depends on healthy waters. 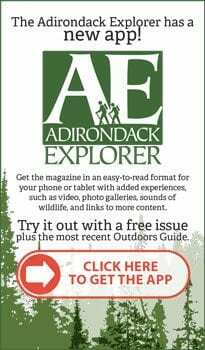 Yet there is good news: latest surveys conducted last year by the Nature Conservancy’s Adirondack Park Invasive Plant Program, show 75 percent of the lakes surveyed still remain invasives free. By contrast, the Great Lakes possess nearly two hundred invasive and non-native species, driving home the need for action now. 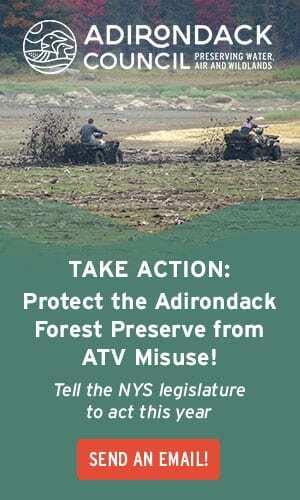 Winning the fight for the Adirondacks demands both defense and offense. This means coupling strong prevention programs—exemplified by the governor’s inclusion of a state-of-the-art boat-inspection station at the new Welcome Center at Glens Falls on the Northway (I-87)—with preemptive actions that take the fight as close to the source of the problem as possible. Other states such as Idaho, Oregon, Montana, and Washington are employing pre-emptive inspection stations at their borders to protect waterways critical to their economies. We must follow their lead. 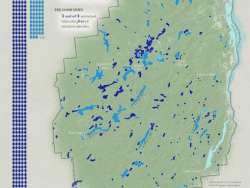 Effective preemption begins by using AIS data from the Adirondack Watershed Institute to identify priority source waters (shown on the map) from which invasives are entering the state or region. Using this information, we can then site mandatory inspection facilities at high-risk locations. “A Source Waters Compact” would call for active cooperation with representatives within and outside New York State. 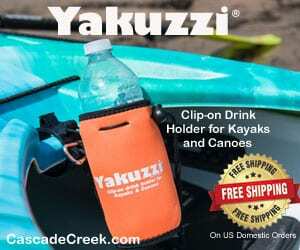 Its terms would focus on proactive measures to be taken at those source waters as the first line of protection before boaters travel to the region. Building on their vital leadership in this now-or-never fight, Governor Andrew Cuomo and the state Department of Environmental Conservation can leverage diverse and growing public support across the state for stopping invasive species from destroying our waters. An executive order would enable rapid advance on this imperative. 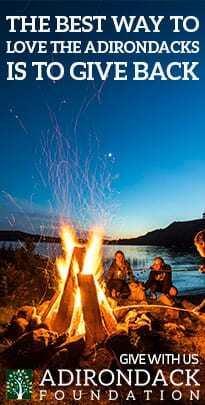 Hope for bringing back the Great Lakes begins with “closing the door on future invasions.” By doing the same here — and now — we can avoid having to suffer the death of the Adirondacks in order to save it. 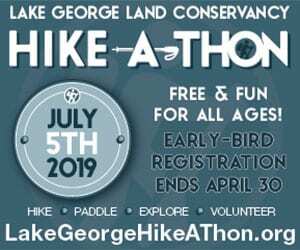 Eric Siy is executive director of the Fund for Lake George. 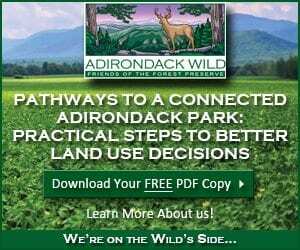 Fred Monroe is executive director of the Adirondack Park Local Government Review Board. 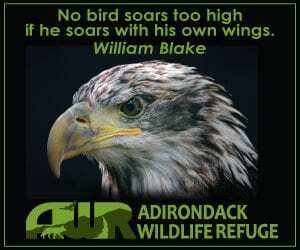 Photo courtesy FUND for Lake George. So what can people do? Is there a petition? Give us an action. Planet earth eventually….the life sucked out of it. Why? Because we have no vision. At least those who have the power to do something about it have no vision.What can people do Wally? Sit back and watch..and in the meanwhile enjoy life while your able because there are still many wonderful and beautiful things no matter how much we’re losing each day. How long will this last (wonderful and beautiful things?) It’s hard to say but one good nuke will do the trick. 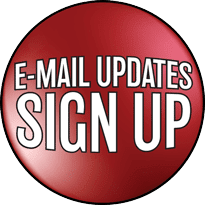 This is good news! So let us open up Boreas Ponds to motor vehicle traffic as close to their shores as can possibly be. Let’s put motorboats on those jewels also! We’ll worry about invasive species in those parts when it happens.